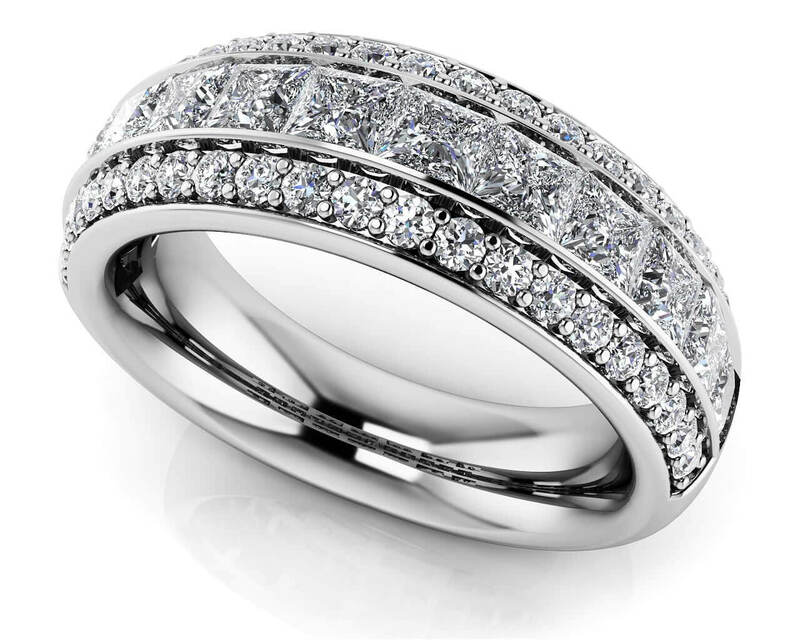 You get three times the beauty with this dazzling diamond eternity ring. 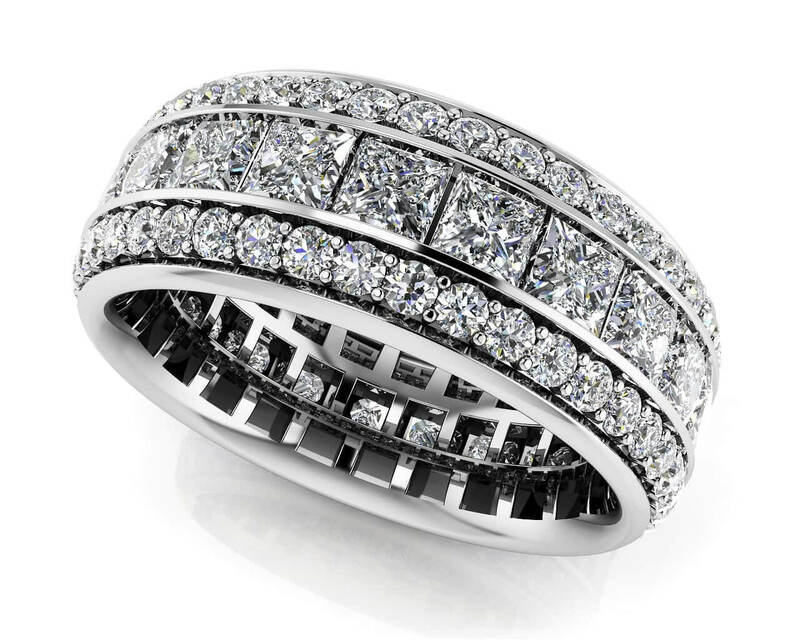 The center row has channel set princess cut diamonds and the two outer rows have prong set round diamonds. 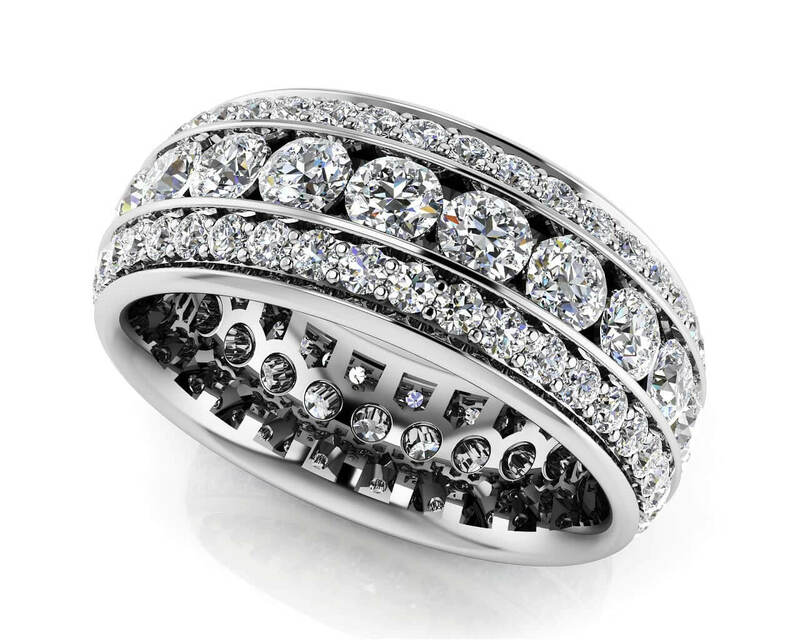 The diamonds are set all the way around the ring in a classic eternity style. 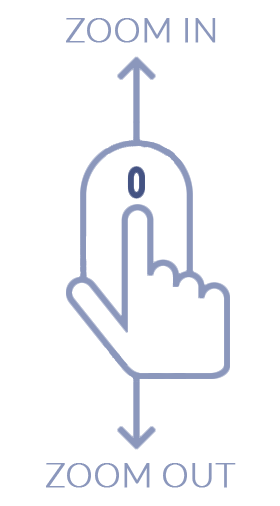 Create an unforgettable anniversary ring or complement to an existing diamond ring when you choose from gold or platinum! Stone Carat Weight: 31X0.050 ct., 112X0.005 ct.